Staff Photo by Dan Henry / The Chattanooga Times Free Press- 8/3/16. Jonas Barriere speaks about taking over for Elizabeth Crews as executive director of UnifiEd and what his plans are for the organization. Want to know how your child's school performs in comparison to others? What, if any, Advanced Placement classes are offered? Or, within what feeder pattern is the school located. Now you can see that information and much more regarding Hamilton County's public schools thanks to an online guide created by UnifiEd that launches today. The local nonprofit organization has been working for about a year to create the Hamilton County Public School Guide, a tool allowing members of the community to find information about their school and compare it to others across the district. * Sohn: How many children do 887 'least effective' teachers touch? Check out the Hamilton County Public School Guide at unifi-ed.org/public-school-guide and the at the bottom of this story. For more information, questions or comments email info@unifi-ed.org. The school guide is intended to be a one-stop-shop for school information, as it takes things such as achievement data, the school's racial and economic diversity, per-pupil spending, and exceptional education info and puts it all in one place. 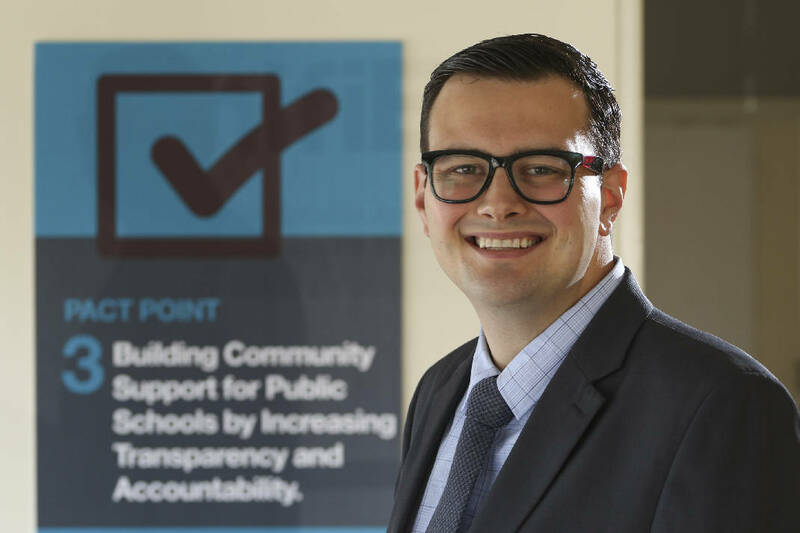 "We hope that this data will help spur much-needed conversations around how we ensure a great teacher is in every classroom, achieve equal opportunity [for] all students, highlight transparency and accountability, and the prioritization of funding in our community," said UnifiEd's newly named executive director, Jonas Barriere. The guide is intended to provide people with information about their school and empower them to action, said Ashley Conrad, director of policy and research at UnifiEd. It also provides contact information for the school's principal and the elected officials representing the district. The Hamilton County Schools system has not had a school guide like this before, and Conrad said this pilot will continually be updated and contain new information and data as it evolves. "This is like the first brick in the wall," she said, adding she hopes community members will tell UnifiEd what additional school-level information they want to see added. Barriere said it's important for the school system to be transparent, and he hopes the school guide will give the community easily accessible information about the district's schools. "Our expectation is that the parents, students, teachers, and community use this tool to support their ongoing efforts to ensure that every student in Hamilton County enjoys a great education," he said. Elizabeth Tallman, a mother of public school students, said the guide is going to be helpful for parents as they navigate the public school system. "So much goes into deciding what the best school is for your child," she said. Tallman looked at a preliminary version of the school guide, and appreciated how she could see what exceptional education classes are provided at different schools across the district. "I don't know of any other resource where you can see what is offered at each school," Tallman said. She added how important it is to her that her children attend diverse schools, and said it's helpful to have school demographics available alongside all the other information provided in the guide. Contact staff writer Kendi A. Rainwater at 423-757-6592 or krainwater@timesfreepress.com. Follow her on Twitter @kendi_and.